• For quantitative bioluminescent assay for ADP:ATP ratio (apoptosis) in cells. • Changes in the ADP/ATP ratio have been used to differentiate modes of cell death and viability. Increased levels of ATP and decreased levels of ADP signify proliferating cells. Conversely, decreased levels of ATP and increased levels of ADP represent apoptotic or necrotic cells where the decrease in ATP and increase in ADP is much more pronounced in necrosis versus apoptosis. BioAssay Systems? EnzyLight™ ADP/ATP Ratio Assay Kit provides a rapid method to measure ADP and ATP levels for the screening of apoptosis, necrosis and cell proliferation in mammalian cells. The assay involves two steps. In the first step, the working reagent lyses cells to release ATP and ADP. In the presence of luciferase, ATP immediately reacts with the Substrate D-luciferin to produce light. The light intensity is a direct measure of intracellular ATP concentration. In the second step, the ADP is converted to ATP through an enzyme reaction. This newly formed ATP then reacts with the D-luciferin as in the first step. This non-radioactive, homogeneous cell-based assay is performed in microplates. The reagent is compatible with all culture media and with all liquid handling systems for high-throughput screening applications in 96-well and 384-well plates. 1. We would like to measure ADP, ATP and ADP/ATP Ratio in serum or plasma. 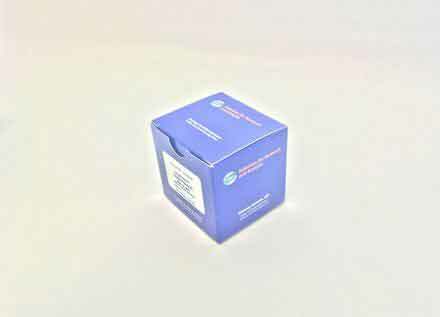 This kit seems to be suitable for cell samples, but is it compatible with serum or plasma? The ADP/ATP ratio assay was developed as a cell based assays and is useful to follow changes in the ADP/ATP ratio as a marker for viability in cells in the course of a drug treatment or during culture. The assay also works with serum samples but because it is not quantitative this may limit its usefulness for serum analysis. Depending on the exact nature of your experiment, our EATP-100 and EADP-100 assay kits may be the better choice.